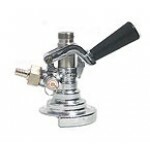 ​The Domestic and European Keg Couplers we sell are manufactured by Perlick. 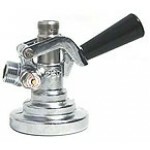 The German Slider A, Grundy "G", and Irish U Couplers we sell are manufactured by Tap Rite. 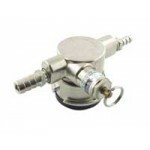 These manufacturers are our first choice when we install commercially because they adhere to strict manufacturing guidelines necessary for a quality pour. 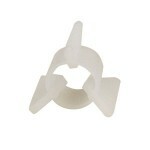 Both manufacturers use a higher quality of metal than any other manufacturer we have seen. 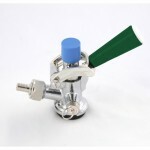 Their Keg Couplers are the highest quality available. 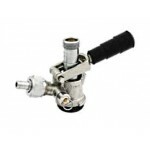 If you are curious what style Keg Coupler is needed for a particular beer check out our listing on Beer Taps on our Information Wall. 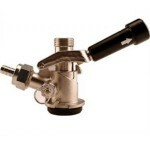 Krome Keg Coupler for Single Valve Domestic Kegs. Non-Rotating Probe in nickel-plated brass. 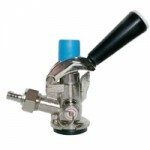 ..
Made in the USA - Perlick's G-Series Keg Coupler for Single Valve Domestic Kegs. 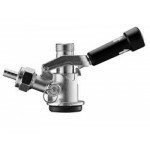 Non-Rotating ..
Made in the USA - Perlick's G-Series Stainless Steel Keg Coupler is required for Wine. 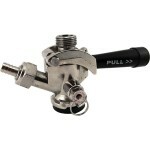 Stainle..
Made in the USA - Perlick's G-Series Keg Coupler for Single Valve Imported Kegs. 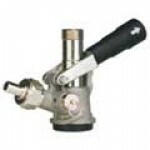 The European ..
Made in the USA - Perlick's Lo-Boy Keg Coupler for Single Valve Domestic Kegs is uniquely const..
Made in the USA - Perlick's Lo-Boy Keg Coupler for Single Valve European Kegs is uniquely const..
Made in the USA - Taprite's Keg Coupler for Single Valve Domestic Kegs. 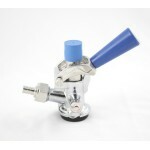 Non-Rotating Probe in ..
Made in the USA - Taprite's Keg Coupler for Single Valve Domestic 1/6 Kegs. 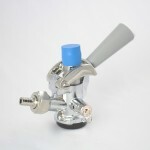 Non-Rotating ..
Made in the USA - TapRite Keg Coupler for Single Valve Imported Kegs. 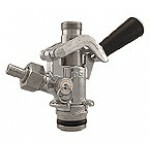 The European connection ..
Made in the USA - Tap Rite's "G" System Keg Coupler Connection is most commonly used for Bass, Ancho..
Made in the USA - Tap Rite's "U" System Keg Coupler Connection is most commonly used for Guinness an..
Made in the USA - Tap Rite's "A" System Keg Coupler Connection is most commonly used for German.. 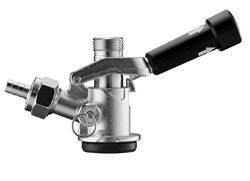 Stops the checkball from seating in the coupler and shutting off beer flow on Micro Matic couplers ..